Students are required to pass all core courses, the specialized courses of his/her chosen Department, and fulfil the requirements of the major and/or minor studies of the Department. 3. Students of the Department of Composition and the Department of Conducting are required to organize a composition/conducting graduation concert. 2. 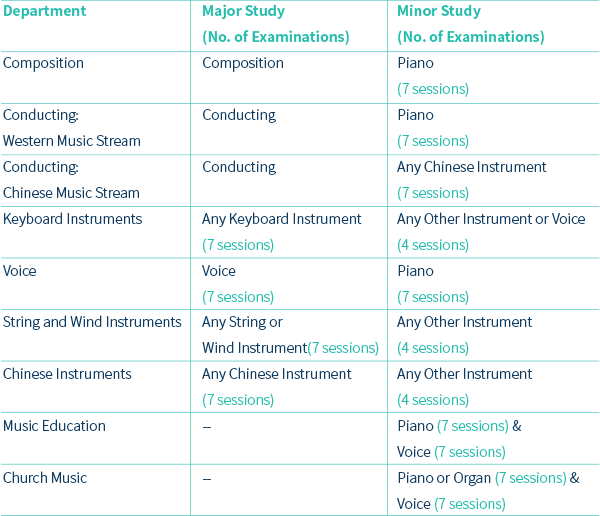 Some instrumental or vocal training.